Happy New Year and cheers to 2013! Let's make the year a BIG and successful one. And let's start with the press release. We often hear, “Anyone can write a press release!” And that may be true, writing a press release that is picked up by the lawn and garden media and shared by bloggers is another story. Here at Garden Media we try to make our news releases “news worthy” by following these 6 golden rules. Press Release Tip #1: Package the Story. For every story we write we ask ourselves these questions: What will the news do for my customers? How will it make their lives better, easier, happier? How does it benefit gardeners or garden centers? Why are we sharing this news? And most importantly, what is the “golden nugget”, the true essence of the story? Press Release Tip #2: The Headline Is Key. This is the most important part of the press release. You need to grab the reader’s attention with a compelling headline. If you could sum up your story in 7 words or less what would you say. Put your company name in the headline for better SEO. 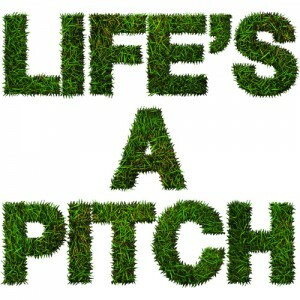 If it is a new garden product or plant, special event or company promotion, name it in the subhead or kicker. Don’t use names, unless they are famous. Press Release Tip #3: 1st paragraph. After the headline, you have one paragraph to keep the reader engaged so grab them with a great lead. Make your point quickly and don’t bury the critical information at the bottom. Editors cut from the bottom up so keep important information at the top. Focus on what the news is and how it will impact the garden industry. Keep your sentences concise and jargon-free and write at a 4th grade level. Seriously. Press Release Tip #4: Add Multimedia. If a picture tells a 1,000 words, a video tells 10,000! Include photos, video and other multimedia, which is ideal for new product announcements or how to videos. A story using video is five times more likely to get picked up by the media. Testimonials. Let someone else do the bragging for you. Include quotes from customers, vendors, or industry experts. It’s more believable and increases your credibility. Plus it’s great customer relations to get your customer’s name in print. Hyperlinks. Want to increase your SEO. Always hyperlink to additional resources on your website, to photos and to videos. Hyperlink to long tail key words that better describe your business or product instead of to general key words where there is lots of completion. Want more? 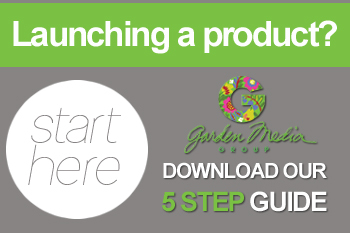 Download our tips on launching a new product! Cool article! I love how the thoughtful order of tips and accurate details. Yet, it doesn't look like this helps me to write my college essay. Sadly. Friends recommend me to use some writing services. Maybe someone heard of http://thrivingwriter.com/proofreading-service? They claim to be the best and the most client-oriented, they even have a proofreading and reviews options. Should I ask for their help?